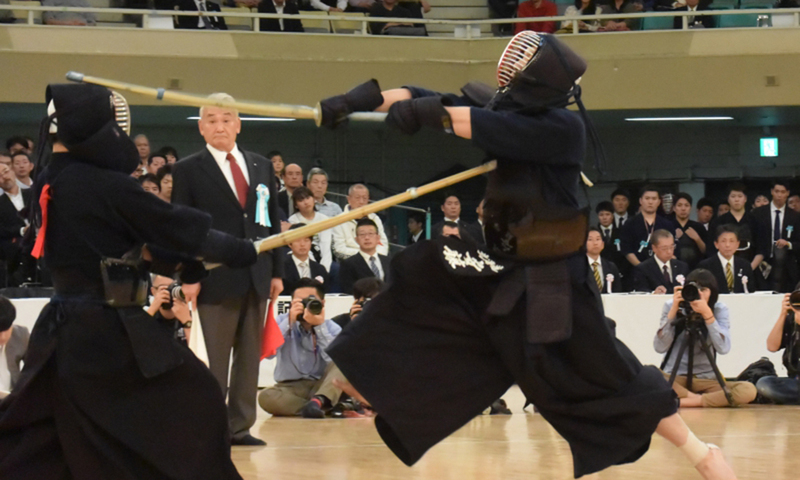 He had won the individuals at the World Championship and also played as taisho for the group matches and led Japan to the top. At the arena he drew a lot of vocal support. 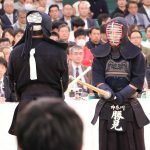 In this tournament he has achieved 3rd place once in the past, but the past two editions had ended in first round loses. 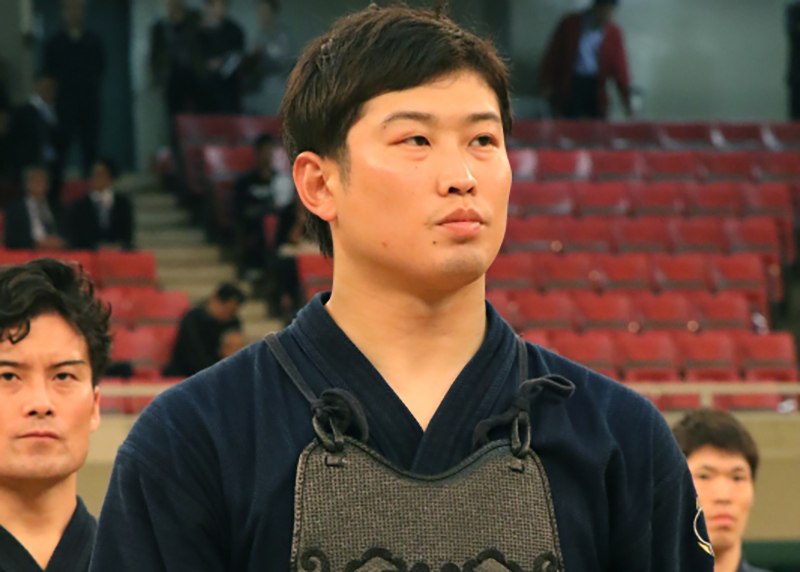 Many were hoping that he would achieve his first win, and he showed his good form from the start, but he lost against Hidehisa Nishimura (Kumamoto) who went on the win the championship, and Ando ended in 3rd place for the second time. I was aiming for the championship win so I think I’m still a long way off. 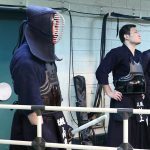 -Can you reflect on the match with Nishimura? He’s good at developing the match in his favor, so I tried to be aggressive in attacking the men which is my strong point. I did not think much about his strong move, the kote, and just attacked aggressively… but it was quite tough. -You showed a lot of spirit from your first strike. Yes, I really went for it, but couldn’t get the ippon, which means something was lacking. That is my homework which I need to work hard on. -What kind of experience has the world championship given you? I am satisfied that I got good results at the World Championship, but my aim has always been the All Japan Championship. I couldn’t achieve anything for the past two years, so I was really focus on this year. This makes it disappointing. It was his 6th appearance. He has a solid record, having achieved 3rd place in 2015, and the last 8 a year earlier. He performed well as part of this year’s World Championship team. He advanced nicely with his spectacular men strikes. 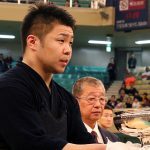 He reached the semi-final for the first time in 3 years, and first gained the men from veteran player Ryoichi Uchimura (Kumamoto), but conceded a comeback loss. -Can you reflect on your semi-final match with Uchimura? When I first got the men, I was caught between defending or attacking, but I though defending isn’t good so I kept attacking. As a result I was struck in the course of striking myself, so I have no regrets there. After it became 1-1, I felt like I needed to go out at get the winning point, and I was countered as I went for the strike myself, so I have no regrets there either. I went for the strike, and my opponent was just more skillful than me. -You got to the semi-final for the first time in a while. What enabled you to get thus far? For the World Championship in September, I joined the training camp every month. I was able to play against many kenshi, and I feel that led to my upskilling. I think coming to the tournament being in good form led to this result. 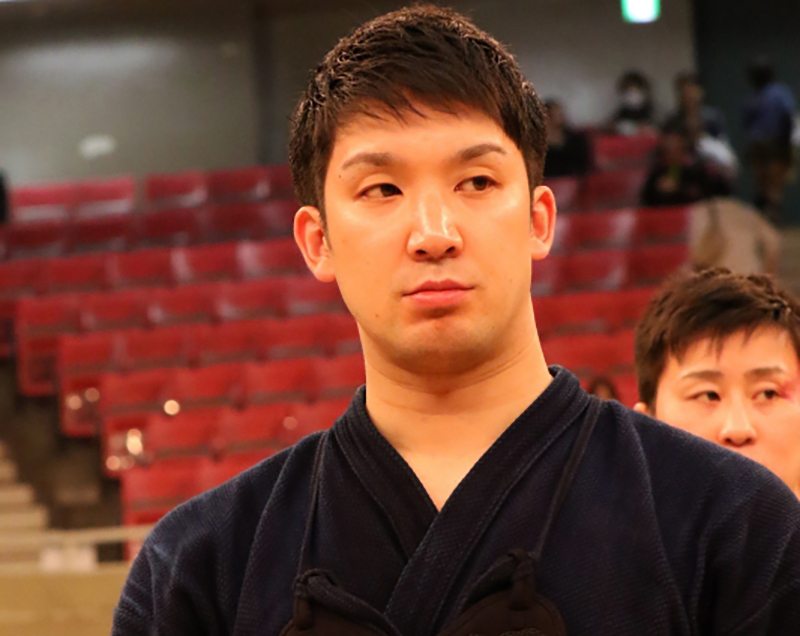 -In the past you have beaten Uchimura in this tournament. In that case, too, I kept attacking, thinking I cannot defend or try to run away, and that led to the win. I fought with the same mentality this time, but his skill and experience was far greater than me, so I think it was fair that I lost. I need to work hard again. -In the quarter-final against Maeda you came back to win. I won as a result, but I could have easily been struck myself in the last move. We both threw ourselves in trying to get the win, so I think I was luck I got the strike and won. -Is it important to throw yourself in order to win? 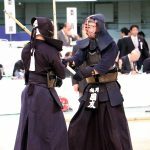 My style of kendo is attacking, so I believe it is important to focus on that. Even in training, I have always thought first about bringing out my own personal strengths. Even in the national training camp, I have primarily focused on further improving my strengths while also working on my weaknesses. -Are you feeling a sense of improvement over the past few years? Yes, it’s only little by little, but I feel that I’m gradually improving. -You seem to feel more satisfied than disappointed. No, I am indeed disappointed. I’m disappointed, but I want to turn this feeling of disappointment into fuel for trying harder next time. 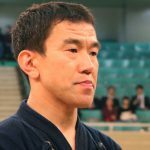 -Do you feel differently losing to Uchimura compared to someone in the national team? No, there are no weak players participating in this tournament, so I have no feelings about winning against or losing against any particular player over another. I always think I want to play hard against any player. -What kind of mental preparation did you do before this tournament? I tried not to get too tense, not to think ahead, but play each match freely. In the past, I have become too tense, hesitating whether to strike at an opportune moment, and often missing out on a good chance. So I tried to give everything. -It was a solid performance, one where perhaps even eyed the championship. Of course participating in this games means that you aim to win the whole thing. This loss shows that there are areas where I still lack, so I want to come back next year and beyond that and try to win the whole thing. -In Oita perhaps it is a difficult environment to get solid practice. In a large city you could spend more time practicing, but here no so much. Within limited time, we try to achieve just as much if not more efficiency in our training. We use our free time outside of work to study, or do air strikes. I think the current environment at Oita police suits me, and has allowed me to grow. -The people of Oita prefecture must be expecting more of you now. Many people say all kinds of things to me, but I try to keep at my own pace. I believe that is the closest way to success.